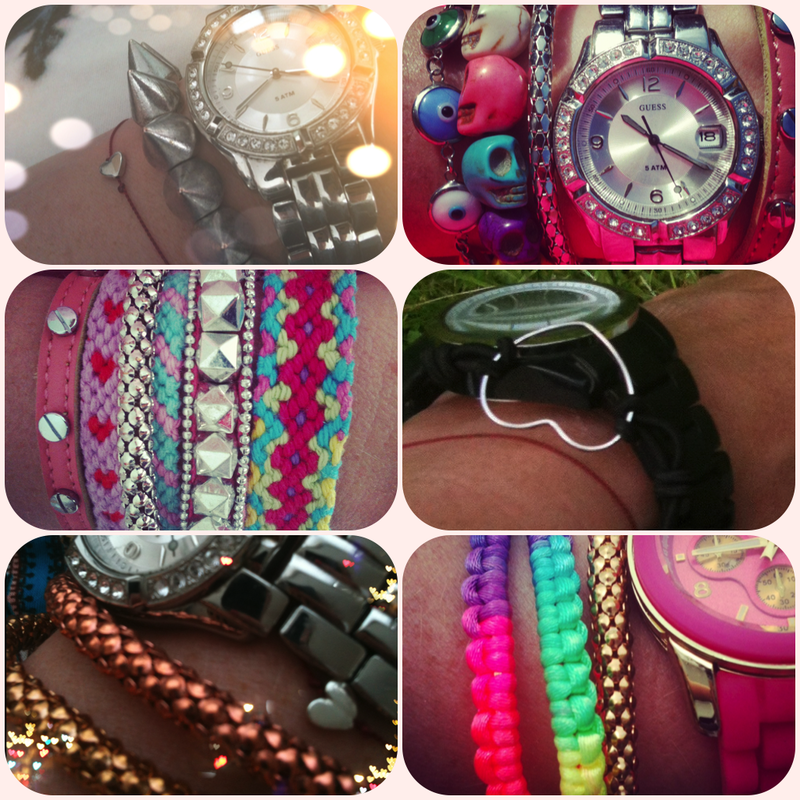 Gepost door My Scrambled Style op 7:11 a.m.
love the bracelets and a watch is always a great accessory! great blog, now following you on google friend connect, would be great if you followed back! great stuff, nice blog. Maybe would youlike to follow each other? any type)!Lets follow each other, shall we? Great idea. What's the URL of your blog? I adore your bracelets so much!! Love your blog and if you want us to follow each othes please let me know on my blog, I would love that! Do you want to follow each other out ? lovely! I love all of them! love the inspiration. i don't normally wear bracelets, except for my men's watch, but i really should start wearing more! thanks for this! Super jealous of all of your watches!! Ik vind het allemaal echt heel leuk! oh dit is echt een toffe post! super leuke armbanden heb je :O! Wat een toffe post! Erg leuke combinaties. Thank you so much for your comment! :) Will follow you:) Cool blog:)! I want those bracelets! Following you now. Hope you will follow me back. I am loving those,absolutely catching !Thanks so much for ur comment on my blog ! If u want we can follow each other on gfc n bloglovin. Let me know. Ik vind je tekeningen zo leuk! Maak je ze zelf? Van mijn avatar bedoel je? Nee, wat het maar waar :-). I'm your new follower, your blog is really nice! would u like to follow each other maybe? it would be great. i will definitely follow back. That is some amazing arm candy!! Are they all yours? I love how accessories can make such a big difference to an outfit! Gorgeous!! Yes, they are all mine. I'm a big fan of bracelets ;-). So much amazing arm candies! The skulls are my favorite! A love this inspirations :D Your blog is so interested :D i like your look! Maybe follow ? Wat een leuke verschillende combi's! Mooie armbanden heb je! following u now,its ur turn dear ! Pretty arm candies! :) Would you like to follow each other?